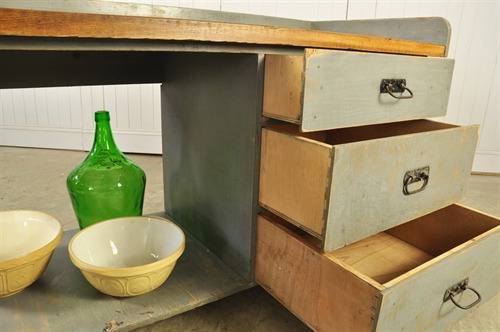 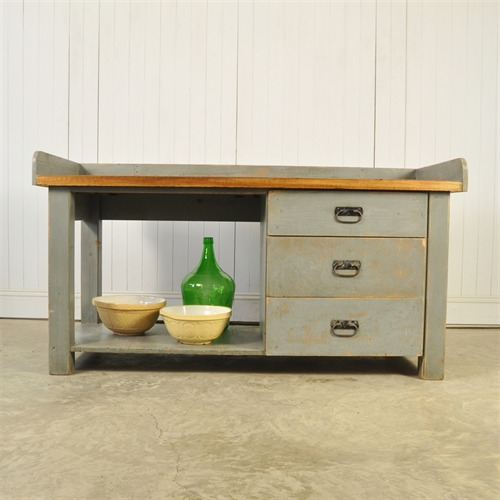 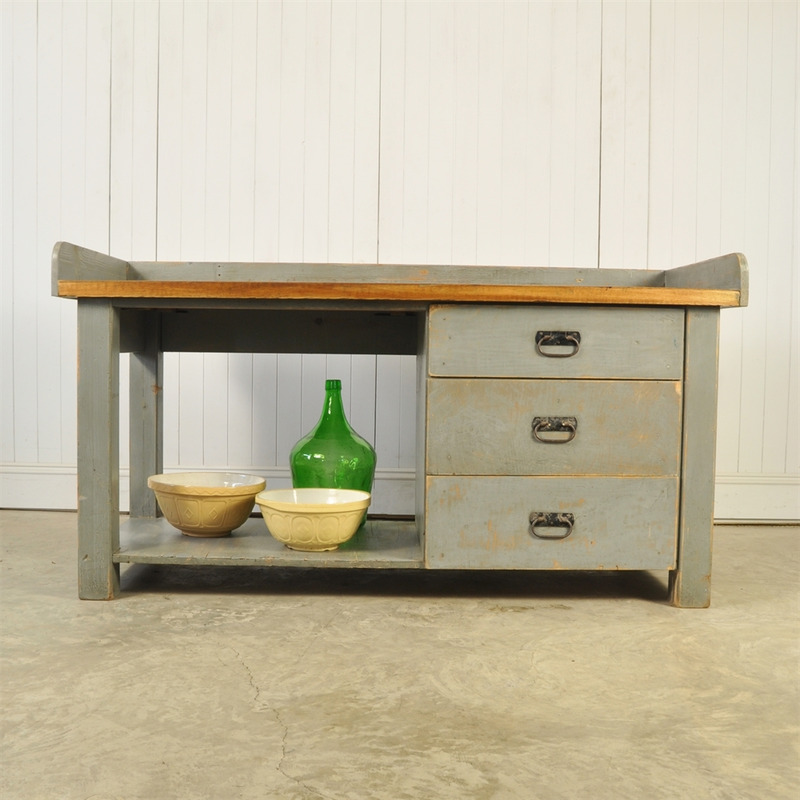 Vintage Workbench / Kitchen Island - Original House – Decorative Antiques, Vintage Industrial Furniture and Lighting, Cotswolds. 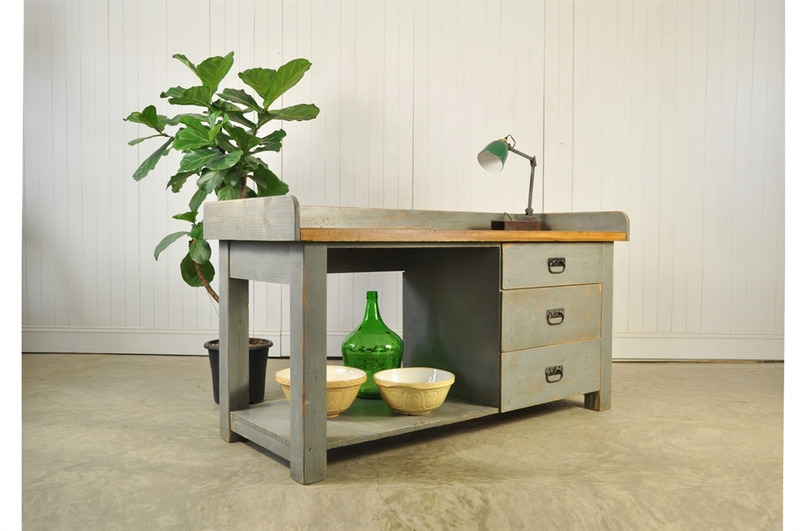 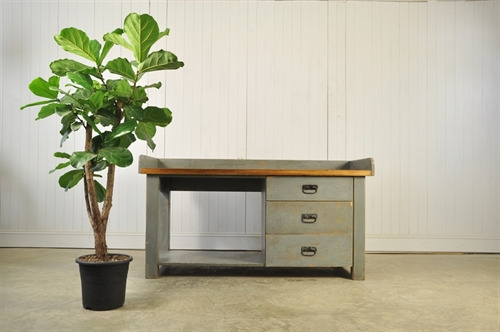 This vintage 1950's / 60's workbench was sourced in the Czech Republic. 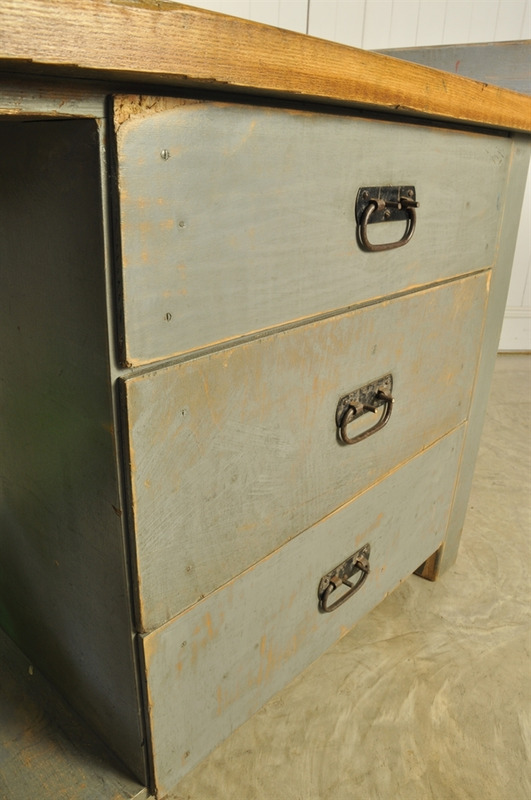 Lovely naturally worn grey paint. 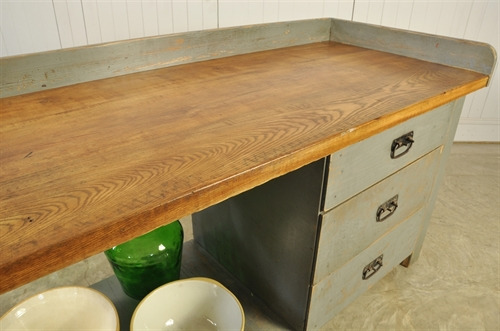 The frame and work surface are Oak. We have sanded and lacquered the worktop making it very practical. All in all a very useful well made piece. 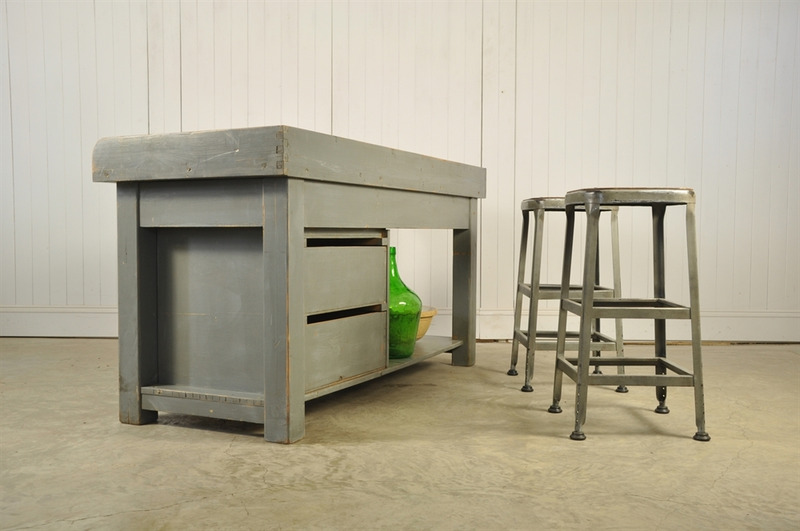 Perfect as a kitchen island. The drawers all run smoothly and it is surprisingly heavy. 90 cm h ( 80 h to worktop ) x 170 l x 70 d.